ALL WARRANTY STICKERS MUST BE INTACT. ALL SERIAL NUMBERS HAVE BEEN RECORDED. Part Number: CU2986. MFG Model # (Series) : CU2986. Key Search Words - 2000 : radiator, engine cooling, rad, car radiator, auto radiator, radiator cap. Application Summary - 2000 : 15-07 Mazda CX-9. This part generally fits Mazda vehicles and includes models such as CX-9 with the trims of Grand Touring Sport Utility 4-Door, GS Sport Utility 4-Door, GT Sport Utility 4-Door, Sport Sport Utility 4-Door, Touring Sport Utility 4-Door. Part Number: CU2986. Warranty Duration:Other. USE COMPATIBILITY TOOL AND MOUSE OVER NOTES FOR DETAILS. You need to MOUSE OVER the left column to read the complete text. 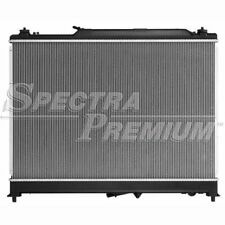 Key Search Words - 2000 : radiator, engine cooling, rad, car radiator, auto radiator, radiator cap. Application Summary - 2000 : 15-07 Mazda CX-9. This part generally fits Mazda vehicles and includes models such as CX-9 with the trims of Grand Touring Sport Utility 4-Door, GS Sport Utility 4-Door, GT Sport Utility 4-Door, Sport Sport Utility 4-Door, Touring Sport Utility 4-Door. Part #: CU2986. Warranty Type: Manufacturer Warranty. WARRANTYWarranty Duration: Other. No local pickup option available. Part Number: CU2986. Warranty Duration:1 Year. Our administrative offices are located in Union, New Jersey and distribution facilities are located throughout the US. The item specifics section also contains important details. Part Number: CU2986. Warranty Duration:Other. We at Phileocom understand that parts for automotive repair are a necessity item. When cars breakdown, car owners are left with little alternative than to fix them up again. 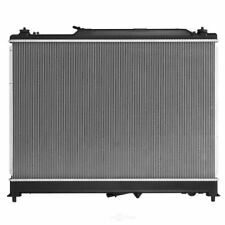 Key Search Words - 2000 : radiator, engine cooling, rad, car radiator, auto radiator, radiator cap. This part generally fits Mazda vehicles and includes models such as CX-9 with the trims of Grand Touring Sport Utility 4-Door, GS Sport Utility 4-Door, GT Sport Utility 4-Door, Sport Sport Utility 4-Door, Touring Sport Utility 4-Door. Part #: CU2986. You need to MOUSE OVER the left column to read the complete text. Part Number: CU2986. Windy City Auto Parts carries over 1 million wholesale priced automotive parts. This part is sold as a PART NUMBER ONLY. Information like which side a part fits (LEFT or RIGHT) and specific vehicle attributes (Transmission, AWD/RWD, and other vehicle exclusions) are included for your information in this LEFT COLUMN. FAST FREE SHIPPING! EASY RETURNS! WARRANTY! Part Number: CU2986. We at PartsMonkey are proud Canadians and are proud to serve our fellow Canadians. Our goal is to provide you with any and all automotive products that may be required. Given our easy and convenient quote option, we make it possible to locate those hard to find products. Part #: CU2986. Se habla espanol. Part #: CU2986. We're working to build a state-of-the-art, online auto repair resource complete with the parts, people and information you need to stay in motion. If we don't have the answer, we'll find it and get right back to. 2007 Mazda CX9. 2008 Mazda CX9. 2009 Mazda CX9. 2010 Mazda CX9. 2011 Mazda CX9. 2012 Mazda CX9. 2013 Mazda CX9. 2014 Mazda CX9. Part Number: CU2986. Warranty Duration:Other. FREE FAST SHIPPING! HASSLE FREE WARRANTY! Part #: CU2986. USE COMPATIBILITY TOOL AND MOUSE OVER NOTES FOR DETAILS. You need to MOUSE OVER the left column to read the complete text. Part Number: CU2986. Warranty Duration:1 Year. YOU'RE FAMILY AND FAMILY TAKES CARE OF ONE ANOTHER. SERVING YOU WITH QUALITY AUTO AND TRUCK PARTS WITH AN EXCEPTIONAL WARRANTY AT A FAIR PRICE. Part Number: CU2986. Warranty Duration:1 Year. We at Phileocom_7 understand that parts for automotive repair are a necessity item. When cars breakdown, car owners are left with little alternative than to fix them up again. Part Number: CU2986. This part is sold as a PART NUMBER ONLY. Information like which side a part fits (LEFT or RIGHT) and specific vehicle attributes (Transmission, AWD/RWD, and other vehicle exclusions) are included for your information in this LEFT COLUMN. Part Number: CU2986. Warranty Duration:2 Year. Part Number: CU2986. Warranty Duration:1 Year.